Amid all the hoo-ha about a senior appointment to lead a controversial Welsh university no mention has been made in the mainstream media that she faces enormous challenges after a huge scandal erupted, her predecessor was sensationally suspended, a major investigation has been launched, and a scurrilous dirty tricks campaign is currently underway. The Eye have reported it though. 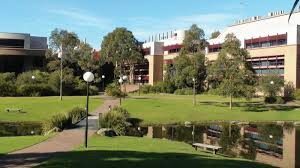 Alison Jones of Wollongong University in Australia is to become the new Vice-Chancellor (VC) of contentious Swansea University, although the news has not been confirmed officially. Our contacts at Swansea have told us they understand the headline-grabbing Pro Vice-Chancellor Hilary Lappin -Scott whose tweets around the world on university ‘business’ have enraged her own staff, was not even selected for interview (see story soon), while six candidates, five external and one internal made the final interviewing stage. 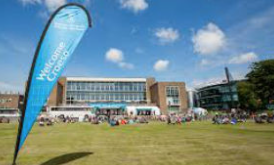 A spokesperson at Swansea University would say only: “The appointment of the new vice chancellor will be presented to a special meeting of the university council in February for confirmation, with an announcement expected shortly afterwards”. On the very day that it emerged Professor Jones was to be appointed, another anonymous email was sent to staff from ‘Your friend’ as part of a long-running libellous campaign which has been ignored by the mainstream media. In the past ‘Your friend has said her suspended predecessor Richard Davies should be reinstated; stated that Professor Lappin-Scott was “wonderful”, and that she would lead Swansea to “an era of gold and honey”. Another email yesterday from a ‘Nike Samothracian’, was, as before, marked ‘Your friend’. It ‘told’ staff about a ‘Collaboration Agreement’ over a huge redevelopment scheme under investigation, adding: “When were Council made aware of this? 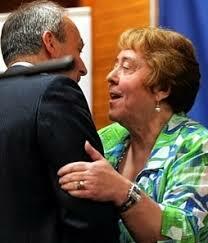 Was this agreement hidden before the suspensions?”. Last night a further extraordinary email came from ‘Your friend’ which claimed to be the ninth of 13, but this time delivered using the made-up address of ‘Ivstitia Sancta’. This made a number of libellous comments about named individuals, and asked the tendentious questions: “Can this just be a cover-up of evidence during Due Diligence, to force suspensions at any cost, or simply the sign of carelessness and dereliction of duty in Due Diligence? Who conducted the Due Diligence? Who led it?”. Earlier ‘Your friend’ emails have been delivered from an ‘Ivs Titia’ address. One, on the day staff at Swansea University became aware of Professor Jones’ new role, was headlined: “The truth cannot be suppressed”, and proclaimed that more supposed ‘revelations’ were about to be made, but that there would be attempts to stop them being disclosed. ‘Your friend’ claimed: “Swansea University knows what’s coming and they will try to block this truth”. In the past he or she has included internal messages from key players in the growing crisis at the university, which are dated a year ago, saying that a former registrar at the institution had been ‘thrown to the wolves’. 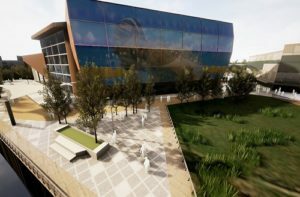 The internal messages also named a central figure in the enormous £200 million regeneration scheme under investigation, called the Delta Lakes (Llanelli Wellness Village) City Deal which was being orchestrated with leading officials at Swansea University’s School of Management – Franz Dickmann of Sterling Health Security Holdings. The scheme at Llanelli which is central to the investigation has been described by its backers as the “largest ever regeneration project in South West Wales”. The Eye were the first to break the news that the unparalleled suspension of Professor Davies, as well as the Dean of his School of Management Marc Clement, and two others of his senior officials, and the remarkable investigation which began at the same time, was linked to the Wellness village project. It now appears that underhand tactics have been used as top officials jockeyed for position to take over and distance themselves from what had happened. ‘Your friend’ obviously supports the suspended VC, as well as Professor Lappin-Scott, stressing that an internal ‘vote’ should be held to back him, saying: “P.S. : I remind you of the plea for Professor Richard B Davies’ reinstatement in time for the Graduation Ceremony – do not forget to vote (it is completely anonymous!)”. Our contacts at the university have told us that despite her tweets from around the world, Professor Lappin-Scott was thought to be an early favourite to replace Professor Davies permanently even though it appeared many staff did not want her, and ultimately she was not even selected for interview. ‘Your friend’ said in an earlier email: “… the wonderful work of Professor Hillary (sic) Lappin-Scott and its global recognition (has) been negated by (recent) events”. An earlier email from ‘Your friend’ made clear his or her support for Professor Lappin-Scott, which came in the form of a congratulatory message after an alleged appointment. The email included earlier messages, and in full stated: “Dear Hillary (sic), Congratulations on the appointment. Please, tweet your success and update your Wikipedia page. Your Registrar can advise on that..(libel)..Your friend P.S. : I hope you will appoint Phil Parry as Director of Communications. That will be one in “the eye” for her friends in the East!”. It continued: “Appended below you can find the previous installments (American spelling) and alleged that there had been “A trial by media, a kangaroo court, a selection of evidence and suspensions before interviews – almost as if the facts were at odds with the desired outcome”. Chan had been imprisoned by a court in Boston for four years three months, and ordered to pay millions of dollars in compensation. His jail term was followed by three years of supervised release, after he admitted one count of conspiracy to commit fraud and one count of mail fraud. He was also ordered to pay restitution of $12,596,298. Meanwhile it has also now emerged the chair of the governing body at the university (the council), Sir Roger Jones (the main recipient of the latest email), has resigned from his senior role with a company where Professor Clement was a co-director, although a spokeswoman at the institution stressed that this was “wholly unconnected” with the major investigation which is underway. Heading a controversial university in ‘Wails’ could lead to even more headlines in the mainstream media and emails to staff from ‘Your friend’, as Professor Jones oversees the culmination of an extraordinary investigation into a contentious multi-million pound land deal. Also on The Eye – another controversial Welsh university hits the headlines. Tomorrow – after explaining the crisis at the heart of the Tory Government, our political columnist The Rebel gives readers the insiders account of the chaos engulfing the Labour party in Westminster as Brexit approaches.